“So, when will be a good time to start that?” “When you’re ready to get going, call me and I’ll help.” “When will you be emptying the dishwasher?” “When this is ready to go then I’ll do XYZ….” Can you hear how presumptuous I’m being? How I’m assuming things are going to happen, how I’m asking ‘when’ instead of ‘have’ and I’m assuming that things will be happening rather than wondering if they will. I’m presuming things - which is a very subtle and effective way of asking for what you want as if it’s already happening. You’re coming at your requests, questions and enquiries from certainty rather than possibility that that is a very powerful stance to take. It has the effect of by-passing the if something is going to happen and going straight to the place of it happening but without doubt. When I studied NLP – Neuro Linguistic Programming – the language of the brain and our way of experiencing the world through the patterns we learn – as it says in the brilliant introductory book NLP for Dummies, NLP enables you to understand what makes you tick, how you think, how you feel, how you make sense of everyday life in the world around you. How you can also use it to make sense of how others tick, think, feel which is where ‘Presuppositions’ – pre-supposing things as if they’re already happening – is taught as an NLP strategy. When you presuppose something, when you presume something is already happening and you use your language to convey it, what happens is you start to move that person in their head. If you consider how you ask for what you want as if it’s already happening and by-pass the doubt, you tell the other person what you want without being too confronting and this is where it’s easier to say yes to you…. “What is the best time for you to deliver this to me on Friday?” – the only question is what’s the time on Friday – not will you i.e. no doubt. “When will that opportunity be offered to me?” – not will that opportunity be offered to me, it’s just a question of when. “Where do you want me to sign this off when you’ve finished it on Thursday?” – it suggests it will be finished on Thursday and the only question is where do you want me sign it when you have. “Who else will you tell about this when you’ve come back from this trip?” – it’s not a question of whether you’ll tell anyone else It’s a question of Who – it assumes you will and only asks who. You can hear in each of those questions a presumption, can’t you? They presuppose something’s going to happen. The person imagines it happening before they realise it. 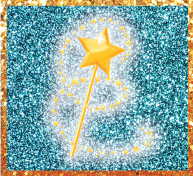 That’s the point; that’s the sparkly, magical piece. You have to imagine it happening too so when you ask questions in this presupposing way, other people have to imagine it happening or having happened too. Abracadabra. 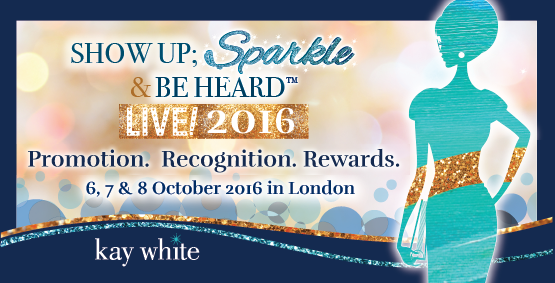 Known as the Savvy & Influential Communication Expert, our Life Labs contributor, Kay White, is hosting a unique 3-day Live Event “Show Up; Sparkle & Be Heard LIVE” in London on 6, 7 and 8 October and as a guest of Psychologies, use the code GLITTERBALL and take 50% off your seat. For further immediate ‘shots’ of inspiration and tactics on showing up at work in a way which gets you heard and understood, try Kay’s Weekly Podcast on iTunes:Show Up; Sparkle & Be Heard . They’re short and snappy and full of tips to inspire and guide you at work.